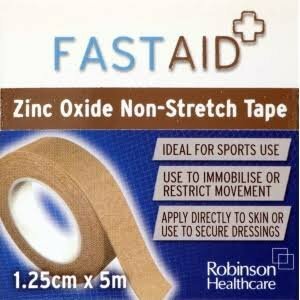 Fast Aid Zinc Oxide Non Stretch Tape is ideal for first aid and sports use and can can be applied directly to the skin to help support joints by immobilising or restricting movement. 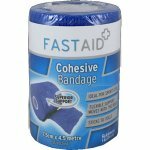 This helps to protect against new, or aggravating old injuries. 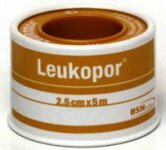 The strong, tan coloured tape can also be used to protect soft tissue and help prevent blisters. 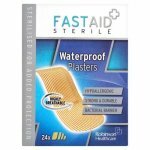 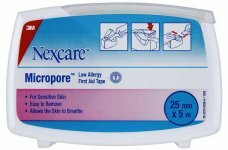 Fast Aid Zinc Oxide Non-Stretch Tape can also be used to secure dressings in place. 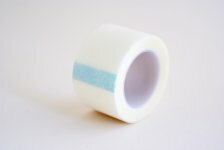 Take care not to restrict circulation and if condition does not improve, seek medical advice.